So you’re getting married. You’ve booked the venue, you’ve picked your dress, you’ve carefully selected your place settings, invitations, and everything else that will ensure that you Big Day is a magical affair. Your wedding day is your time to shine, so you’ll want to look your best right? With a little wedding beauty planning, time and preparation, you can achieve just about any look that you desire for your big day. How much time you put into your bridal beauty preparations is up to you, after all, there is so much to do planning your big day. Make time to plan so you secure bookings for waxing, manicures, facials and any other services rather than rush at the last minute. Hey, while you’re at it, make time to pamper yourself as well! Want to know what to do, and when to do it? 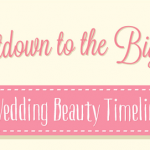 Well, that’s easy, simply follow our infographic, a Wedding Beauty Timeline: Countdown to the big day! The venue and everything else will be beautiful, now it’s time to focus on making sure that you are as well. Your wedding day is your time to shine, so you’ll want to look your best right? With a little wedding beauty planning, time and preparation, you can achieve just about any look that you desire for your big day. 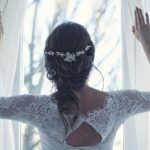 So today we have an easy wedding beauty timeline to help ensure that you are as dazzling and gorgeous as possible on your BIG DAY! Start a Skin Cleansing Diet: You don’t want a pimple to show up on your big day so start paying close attention to your diet now. For a healthy, glowing complexion try a diet that is rich in omega-3 fatty acids and antioxidants. Hire Personal Trainer/ Exercise Plan: By now you’ve probably found your wedding dress so make sure you do it justice with a rocking body. If you can’t afford a personal trainer, set yourself weight loss or toning goals to not only look great but feel great on your wedding day. Begin trialing Hair & Makeup: Make appointments with beauty hair and make up consultants now. This will give you plenty of time to find the right look with a hair dresser and make up artist that you are comfortable with. 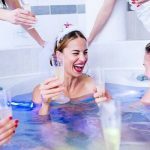 Trial Tanning Options: Whether you want to be a bronzed goddess on your big day or simply less pale, it is essential that you start trialling options now. 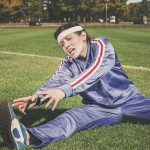 This gives you plenty of time to find the right match for you. Take photos and make notes to find out which method will work best for you. 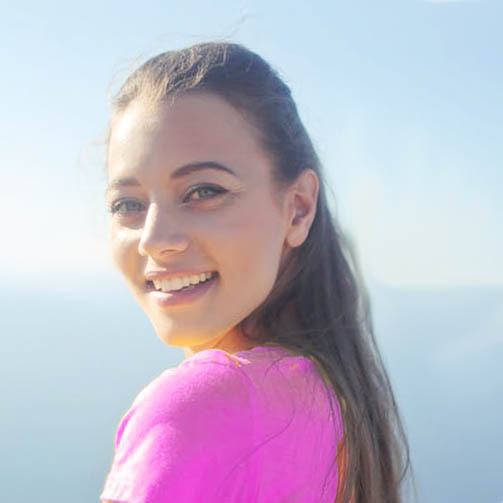 Begin Teeth Whitening Process: By this point you’ve (hopefully) settled on hair and makeup, wedding dress and tanning options. Make sure you don’t forget one of your most important assets, your smile. Start whitening now to ensure your smile is filled with dazzling pearly whites. Trim & Colour: Your big day is drawing very near now so it’s time for a hair trim and some fresh highlights. Don’t do anything drastic here. This is more about preparation for the look you decided on months ago. Just get the length, highlights etc. ready for your hair stylist to work with on the day. Daily Facials: We aren’t talking about chemical peels or anything abrasive here. A gentle daily facial will leave your skin (and you) relaxed, health and glowing. Doing this will help to ensure that your make up comes out flawless on the day. Time to Wax: And now for the dreaded waxing session. Do this now so that any redness or inflammation has time to subside before the wedding day (or wedding night for some areas). Manicure/Pedicure: To ensure a fresh manicure/pedicure make sure that you get this done one more than 3 days before your wedding. A gel mani will keep chips away for up to two weeks! Exfoliate Face: While you are still getting gentle facials daily, it is time to give your skin a last boost by gently removing any dead skin cells with a gentle exfoliating scrub. Spray Tan: If you’ve decided to go with a spray tan, now is the time to get it. This will leave you with enough time to shower and let the tan fade to a natural tone before your big day. 8-10 of Beauty Sleep: Tomorrow is your BIG DAY! Don’t waste all of that effort you’ve put into making your skin beautiful by turning up to your wedding with bags under your eyes because you haven’t had enough sleep. Drink plenty of water: Even though there will be plenty to do today, make sure that you don’t forget to drink plenty of water. Staying well hydrated will not only help flush any toxins from your body but will also help to keep your skin supple.